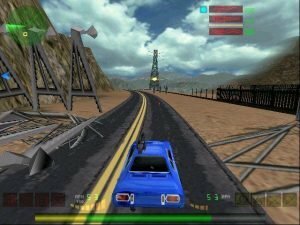 There’s little question that Interstate 76 has its own fans, many of whom were won over by its wildly original premise and wonderfully cheesy 70s aesthetic. 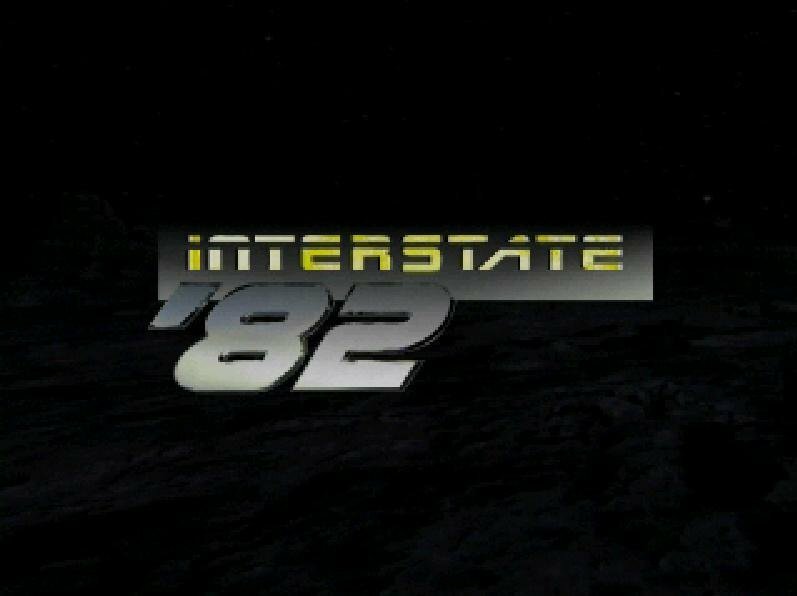 Interstate 82, the sequel, drags the series into the even cheesier 80s, with songs by Devo and Miami Vice-inspired threads. Unfortunately it still has the same mediocre gameplay, this time dumbed down by a significant margin. And where the original could somewhat coast on its premise, Interstate 82 doesn’t have that luxury. In the single-player game, the self-consciously campy plot tries too hard to tie together events and personalities of the early 80s. 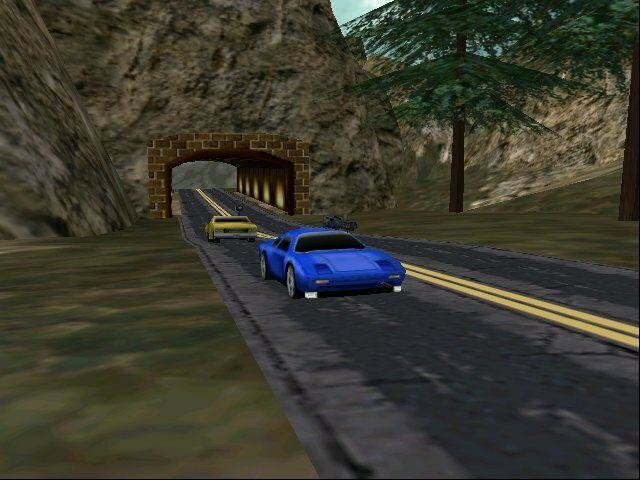 The three main characters of Interstate 76 are back, only that game’s main character, Groove Champion, has been turned into a stoner and you now control the infinitely cooler Taurus for the entire game. Then there’s Skye, the sister of Jade from the first game. She pulls Taurus out of retirement to help her find Groove. 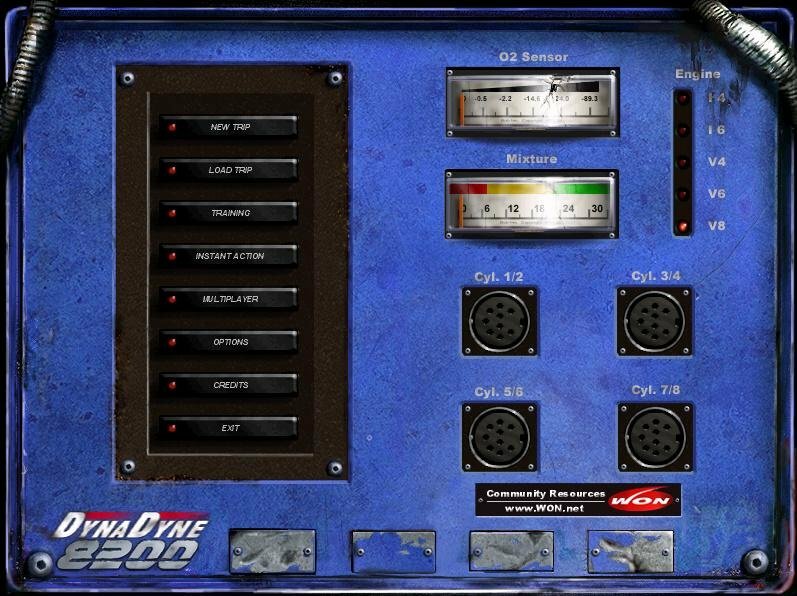 As with the original game, the story is told through cut scenes that precede most missions (and in-engine cinematics with voice-overs for the others). 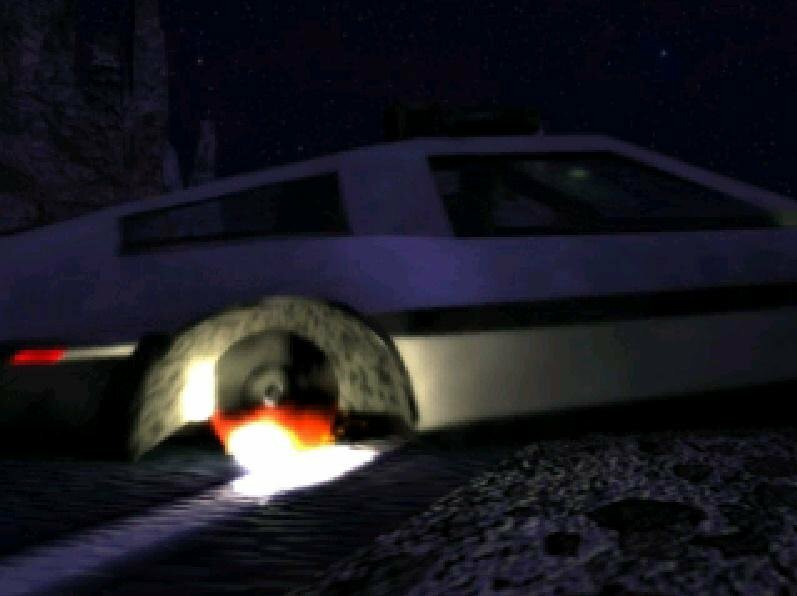 While the original used primitive 3D models to better tie the movies to the look of the in-game action, the sequel opts for a slightly more polished look, but the end result lies rather uncomfortably between looking like a more modern 3D engine and just being poorly rendered. 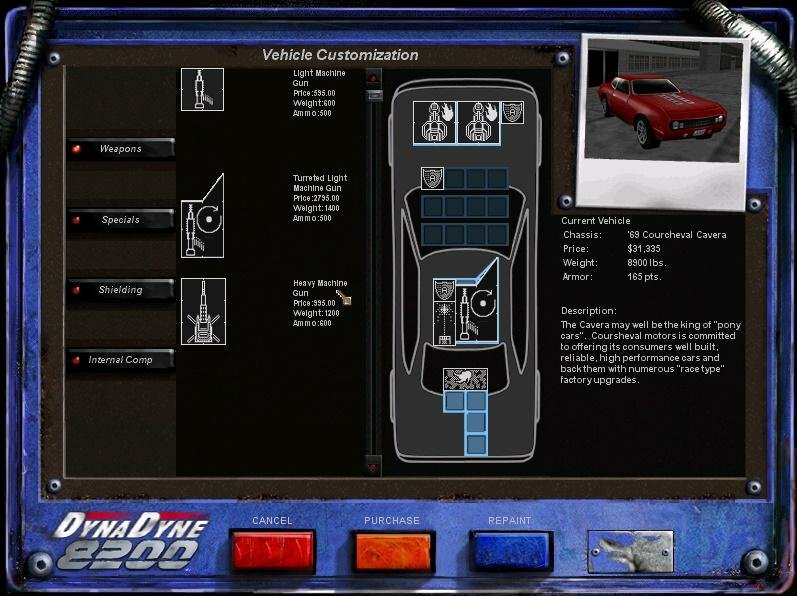 Before you enter a mission, you need to configure your car. 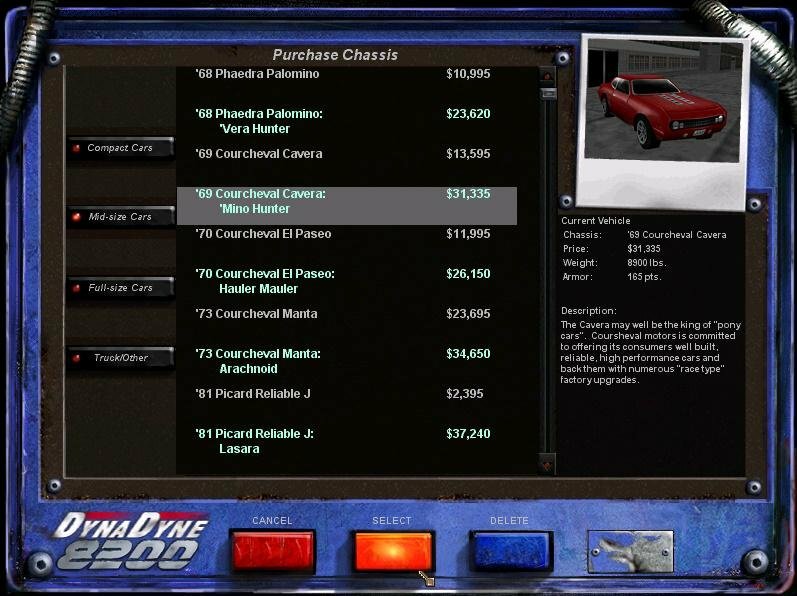 While the previous game had a MechWarrior-like salvage shell (where you collected parts off wrecks), the dumbed down Interstate 82 gives you cash every time you blow up a car. You can then use that money to upgrade your own vehicle. 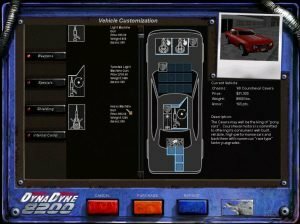 A fairly slick shape-based visual interface lets you know what can be placed on a car where, but the game has a fundamental flaw: you have to configure your vehicle before you’re given your mission. 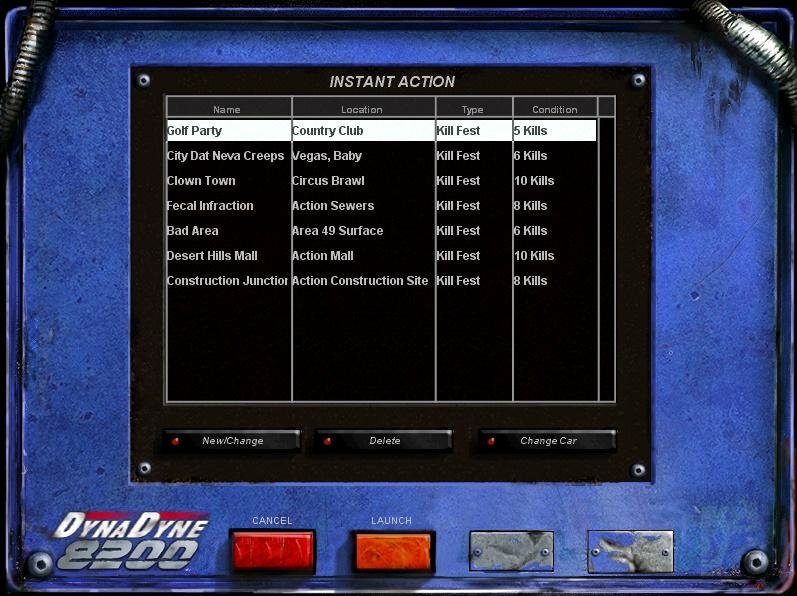 This essentially forces you to play the mission and die a few times just to figure out what pieces you really need to complete it. 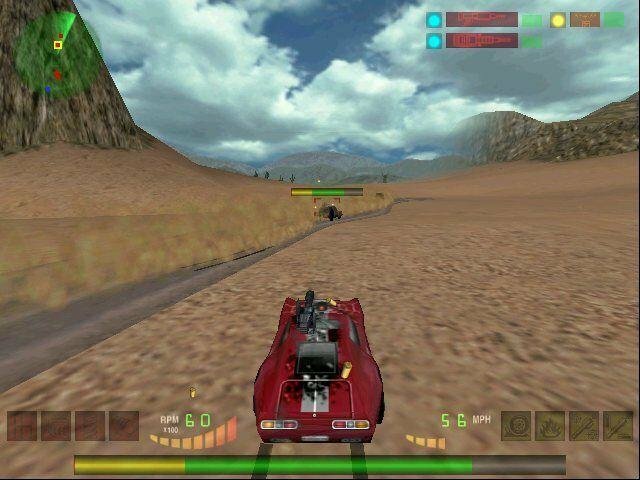 After that, you’re placed in a vehicle and have to complete certain mission objectives to advance the plot. 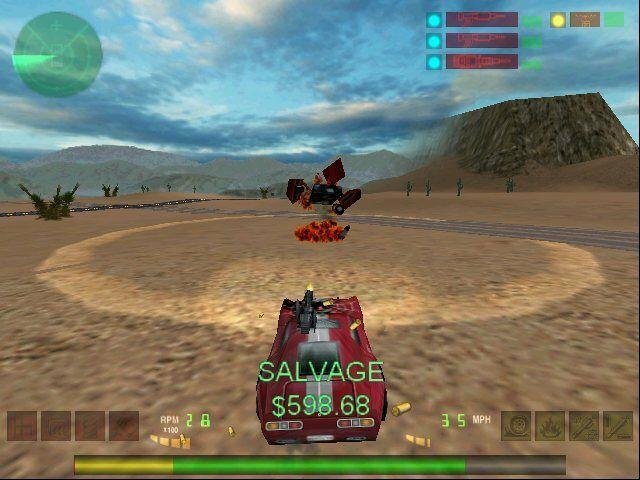 You still can’t save in mid-mission, necessitating a lot of repetition on some of the more challenging missions. 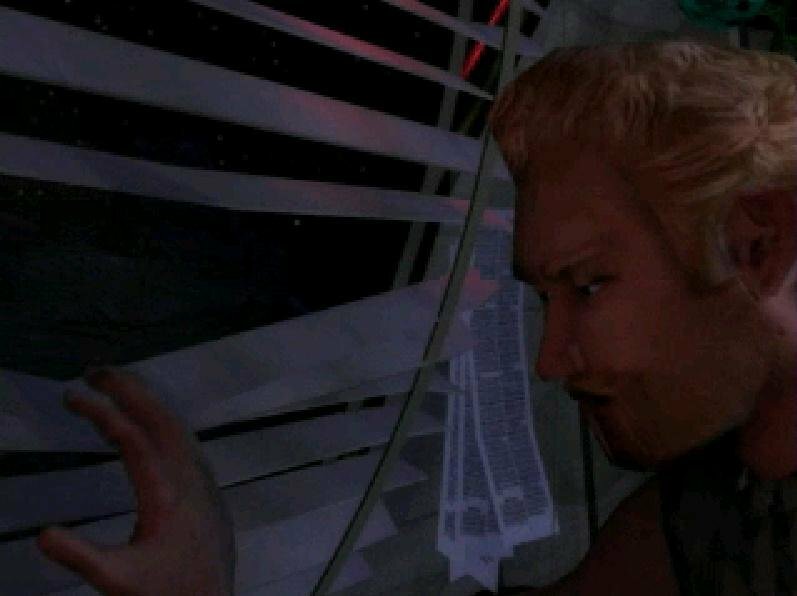 While a few of the missions are pretty entertaining, most follow the same pattern as the original. 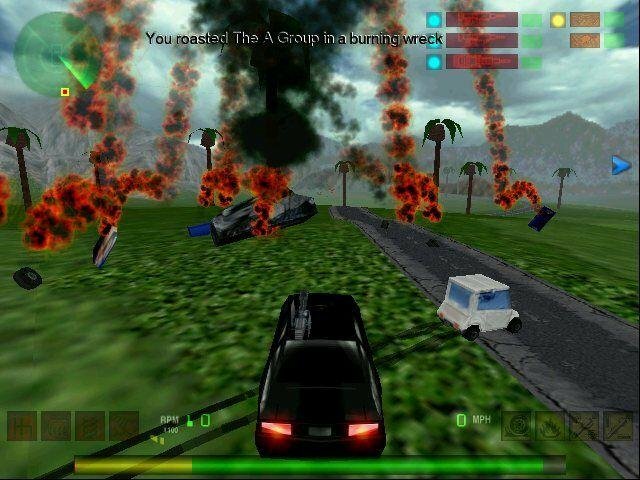 Go to point A, destroy a couple of cars, go to point B, destroy a few cars then go to point C and finish the mission. 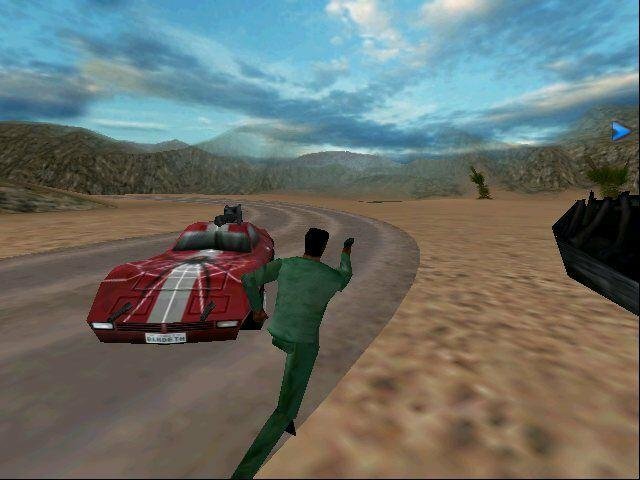 Some missions force you to leave your car, although this isn’t a good idea. 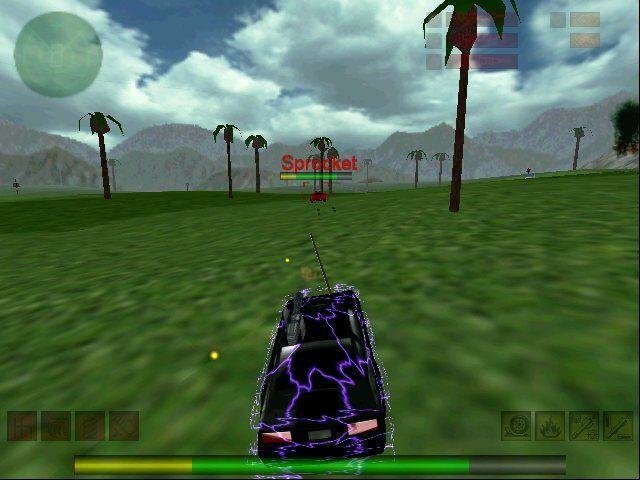 The main reason you’ll never leave your car is that the AI for your opposition is still abysmal. 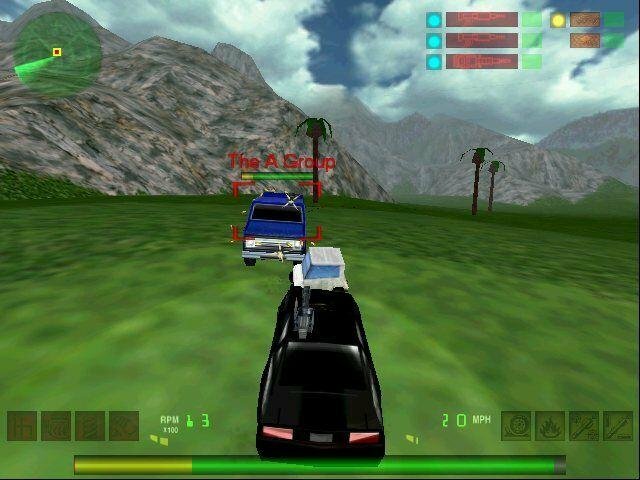 Cars get stuck trying to drive through objects, fire into walls if you’re on the other side and have a tendency to drive right at you in a straight line while you pump them full of lead. While there’s nothing quite as embarrassing as the AI’s inability to deal with heights in the original, it still makes completing Interstate 82 more of a test of endurance than skill.